For the past few decades, a strange character has been walking the campus of Feira de Santana State University (UEFS). Students call him the “Faceless Man” and he always walks down the same path, leaving his hiding place behind Building 7—the furthest one—and going toward the Main Library, where he spends hours surrounded by books. Nobody knows how he manages to get in, since the library is always locked and dark after business hours. That thing carried some sort of lamp to be able to read and write at night, thus shining a feeble light within the library and keeping the atmosphere gloomy with scary shadows running through the bookshelves. Sometimes the stranger can also be seen walking aimlessly down the dark halls of Buildings 6 and 7, looking disoriented and confused, not knowing which way to go. Everybody says the UEFS campus has something supernatural about it in the middle of the night, where the stranger found his only shelter to interact with the physical world through the books in the library. But who would have the guts to check the story and find out who that fellow really was? Nobody, not even the Dean's office would do it. People said that man walked around at night talking to himself, and if anybody were able to hear him they would surely go insane by the sadness of his words. There was this one time at night when two security guards tried to drag a young female student back to her dorm. For some reason, she didn't make it back home in time for the the midnight curfew, which was around the same time the stranger was said to be creeping around Building 7. She had started to jog back to the dorms after running late and hearing the loud curfew siren echoing through the campus. And that was when her heart was suddenly filled with a horrible feeling of loss and pain. She lost control of her body and fell to the ground because, half-way back home, she had heard the moaning of the man who was already wandering the University through the mist. The security guards ran to help her and try to drag her away from there, but she was running desperately. Then she stopped and they noticed a man of average height holding her in his arms. She was hugging someone she had never seen before. She felt so helpless she didn't even know what she was doing, begging for that faceless stranger in the middle of the night to help her. Her voice was weak amid her sobbing and her hands clenched at the back of the dark angel that seemed to have had descended from heaven to protect her. The poor student had heard his wailing and was seduced by his sadness, just like the legend says. Nobody could do anything for her after that. The guards couldn't react when faced with the legendary lonely man wandering through the University. As if in a trance, they couldn't move from the minute he materialized himself. Upon regaining consciousness, all they could feel was the cold ground when they collapsed and helplessly didn't even have time to beg for their lives. I feel a cool hand touching mine. She touched me! Who is it? It shouldn't be the stranger, because it feels like feminine hands. I don't think... She's like a sad ghost who's watching me and acting like a faithful watchdog following her master. I feel I know her, even though I have no idea of who she is. I don't scream or run away because I actually I feel this peace inside that is balanced out by the terror that takes hold of me. It sounds contradictory, but you can't explain that which is absurd. What are human feelings, after all? Sometimes, when all is quiet, I can hear her singing in my head. Her childish voice that surrounds me and leads me into her poetic, serene imagination, as if I were laying my soul to rest. I should also mention the vague terror I feel in my heart because of the supernatural serenity of her song... And so we keep walking carefully. What terrible things could fate have in store for me? I don't know. I think about it and stop for a minute. I don't dare go beyond that thought. Note: This manuscript was found by accident at the University library by Elen Alcântara, a UEFS student. It is said to describe fragments of a mysterious document dedicated to the legendary “Faceless Man.” The text is handwritten and points to an anonymous account of what is possibly a true event. Despite improbable, this mystery has left all students alert. The seed of interest in the stranger, the horror, the enigma, and the supernatural had been sowed at that educational institute decades ago, and it has been strongly sprouting for many years since then. Today, this manuscript can be found at “Dival da Silva Pitombo” Museum and Knowledge Park, which is owned by the UEFS and currently managed by the State of Bahia. 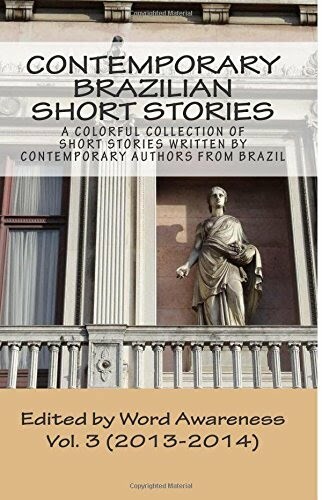 As a writer, he published Desafios de uma mente [Challenges of a Mind] with Editora Multifoco (2011), in addition to writing several articles and poems featured in different collections. He contributes to Jornal Grande Bahia, a well-respected regional newspaper, as well as to several websites.